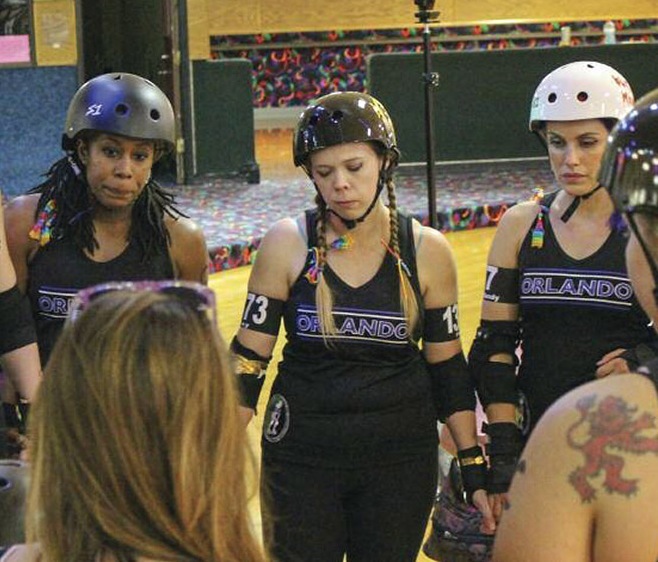 We Are Orlando - fiveonfive magazine featured article - Orlando Roller Derby Orlando Roller Derby is honored to be featured in Quenby Sheree’s powerful, poignant article in this issue of fiveonfive magazine. While it’s hard to relive the events of that day, it reminds us of just how powerful our Orlando community can be when we stand strong together. Orlando Roller Derby is honored to be featured in Quenby Sheree’s powerful, poignant article in this issue of fiveonfive magazine. While it’s hard to relive the events of that day, it reminds us of just how powerful our Orlando community can be when we stand strong together. To purchase this issue, follow the link: Issue 33 – Fall 2016. You can also subscribe to get your own fiveonfive quarterly and support the publication dedicated to derby endeavors around the world.